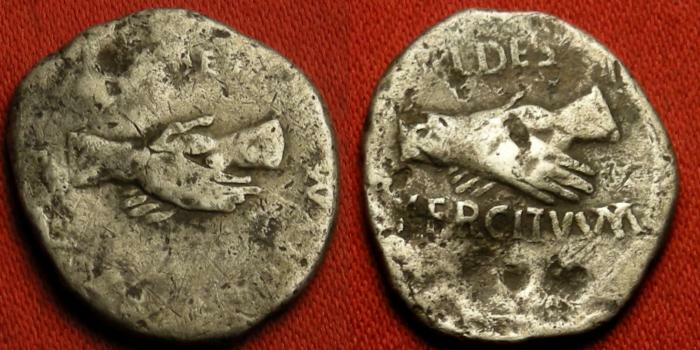 CIVIL WAR OF 68-69 AD AR silver denarius. Pro-Vitellian Forces in Southern Gaul, March, 69 AD. FIDES EXERCITVVM, FIDES PRAETORIANORVM, two sets of clasped hands. Vitellius' 'bribe money' for Otho's Praetorian Guard. VITELLIUS AR silver denarius. Tripod with dolphin, raven below.